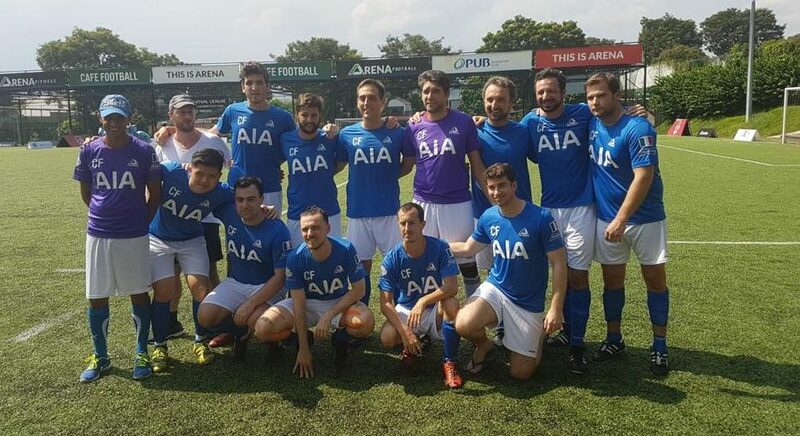 The Italian Association of Singapore (IAS) is a nonprofit and non-governmental organization whose mission is to bring together the Italian community and to link it to the other entities in Singapore. The aim of IAS is to create an extensive network among well established institutional cultural centres, organizations, schools, committees, corporation, clubs and other associations. In the last few years the Italian community has seen an impressive growth of its presence in Singapore; the need of gathering and giving a coherent image of the Italian culture to the multicultural society in Singapore has become furthermore important. For these reasons, through our social events, cultural and sport activities, IAS welcomes all the new members of the community and supports the current ones in many aspects. Assistance will be offered in order to interact in the most fruitful way with the varied and constantly improving facilities that make Singapore the core of South East Asia. An extensive events and activities calendar will be running all year, giving the chance to catch up and match up the growing-community preferences. The monthly Aperitif & Italian Party will be taking place at least once a month and preferably will be host by and Italian restaurant; there will be no tastier occasion to get in touch! The massive BBQ events are set twice a year; this is the mild stone event for the community. The idea of the Association itself has started during one of the first BBQ: a fuzz-free gathering that surprisingly received a huge response; that it has been the proof that the group was growing and the wish to interact was real. Moreover, activities like language course, film and music festival will be definitely attracting the crowd which is looking for enrichment not only towards Italian and European cultural aspects but also mutually towards Singaporean culture. Lastly the creation of a fully comprehensive database is an ongoing project in IAS. This is going to be the base to welcome and assist the current presences in Singapore and the future ones in many crucial aspects like legal, business, housing, family, bureaucracy. IAS will keep evolving as the world is moving perpetually. This is just the beginning: much more has to come and we would love you to be part of it. IAS: it’s you. It’s me. It’s us. Italian BBQ Party: The only Italian BBQ in Singapore. Entertainment and fun since November 2012 (Crystal Ball BBQ Party!). Now held twice a year (in July and December) it’s a must-do for the Italian community. Stay tuned for the next one! Republic Day – 2 June 1946: the Republic Day, also known as Festa della Repubblica in Italian (Festival of the Republic), is a national holiday in Italy on June 2. It celebrates the day when Italians voted to abolish the monarchy in 1946 so their Country could become a Republic. The Italian Embassy of Singapore officially celebrates this day together with the Italian community, but many spontaneus events are held during the Celebration week as well. Italy’s Liberation Day – 25 April 1945: Italy’s Liberation Day (Festa della Liberazione), also known as the Anniversary of the Liberation (Anniversario della liberazione d’Italia), Anniversary of the Resistance (Anniversario della Resistenza), or simply April 25 (Il Venticinque Aprile) is a national Italian holiday commemorating the end of the Second World War and the end of Nazi occupation of the Country. The Italian community uses to commemorate this day with informal and friendly gatherings.